The company was started by the present owner’s paternal grandmother who had a small stall in the local market from the 1920s. At the end of the war, her son, Herbert Ibbitson – a marine engineer – returned from sea and purchased a meat permit which entitled him to sell £8 of meat per week, as meat was still rationed. 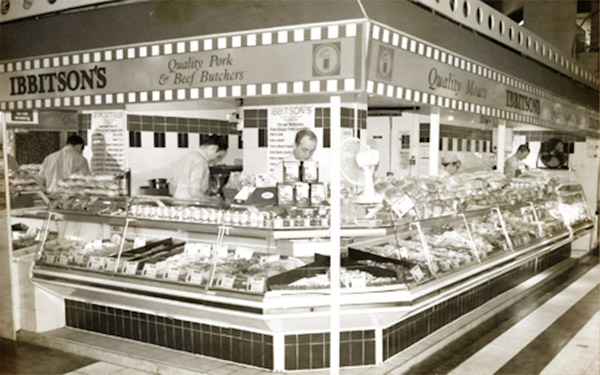 From these very small beginnings his company grew to be one of the largest independent meat companies in the country, with 14 shops , two factories – supplying many leading supermarkets, local schools and hospitals – and a work force of over 400 people. Herbert Ibbitson sold the wholesale business in the early 1980s, and the shops at the end of the 1990s. However, he retained the market stall, where his business first started, to give him an interest until the end of his life. It is now run by his daughter and master butcher and sausage maker Shaun. The present owner has continued the family tradition of quality and service and the company is bang up to date with its animal welfare policy, sourcing its pork from one pig farmer in Scotland where the pigs are outdoor reared and have to travel minimal miles to slaughter. The pigs spend most of their lives outside and are free to live a natural life. They have continual access to shelter and are fed on a diet of home grown cereals. The rearing system is entirely straw based and the sows are left to farrow in peace and solitude. As a result of this natural rearing system, in winter the pigs are prone to be a little fatter than their intensively reared indoor counterparts, but this slight layer of fat adds to the succulence and flavour of the meat and makes the crackling second to none. 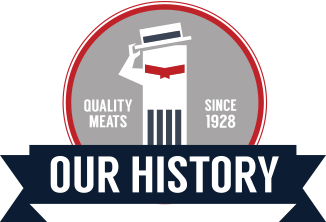 We think our sausages are so good that last year we decided to enter them into the Guild of Fine Food Great Taste and Great British Banger awards. We were delighted to win awards for three out of four entries in both cases. Our seasonings are exclusive to Ibbitson’s – all having been devised by Shaun, our Sausage Supremo! Our certified Aberdeen Angus beef is sourced from the heart of the Scottish Highlands. Scottish dry aged beef is available on request. We also sell grass fed Irish beef from one carefully chosen supplier. It is reared on farms which have the highest animal welfare standards. We are sure you will agree it is tender and full of flavour. Ibbitson's are proud to have received star ratings for our sausages in the Great Taste Awards 2014 and Gold and Silver in the BPEX Awards. 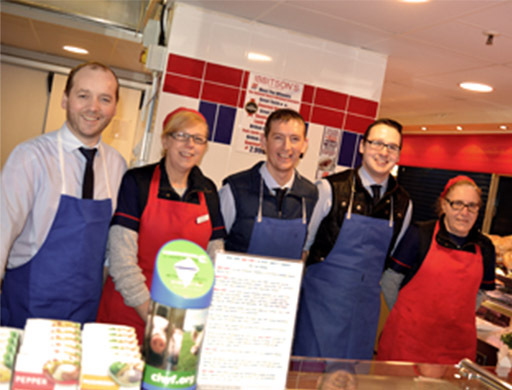 We pride ourselves on customer service and delivering the highest quality products direct to your door.